David Allen Grove had the most liked content! I was just sent this COI for a rickshaw rental. Seems a "bit" light on information and coverage. I emailed the person back and asked that I be listed on the cert. I just now saw and I'm not sure what the "supplement $250" is? Has anyone come across this type of certificate with virtually no info on it and only good for the one day it's being rented? iSAFE TV and Film will be at this year's Steadicam Guild, Stabilizer Gear Expo! Joyce Gilliard, the founder of iSAFE TV and Film and Hairstylist who was seriously injured on the MIdnight Rider set will be there! Exhibitor Registration is now open!! Early Bird special Now through April 30th. For more information email me through the website: www.StabilizerGearExpo.com Aaton Digital Transvideo has just signed on. Tiffen Steadicam is once again hosting the Steadicam Guild's Stabilizer Gear Expo! We will have more updates as planning continues. Stay Tuned. Thank you, Alec. I'm glad to be back too! Yea, I'm feeling a little bit like Han Solo recently unfrozen from Carbonite. What? Luke's a Jedi Master AND the world has gone to HD?!?! :-) Seriously thinking about your decimator. What kind of power cable does your decimator have? I'll email you. Excellent. In the past, when I've needed down converter, production has just rented it and the converter was powered off the camera. Since the job is in Iowa and I don't think there's a lot of rental houses that have down converters and power cable options may be limited, I imagine my best option would be to get a cable to power off my sled? I'm looking at this Decimator: https://www.bhphotovideo.com/c/product/1091828-REG/decimator_dd_dec_2_3g_hd_sd_sdi_to_hdmi_with.html?ap=y&c3api=1876%2C92051678882%2C%2C&gclid=Cj0KCQjwtOLVBRCZARIsADPLtJ1mQMDY1Zc1Zjepg90XW0fo7Hq0xJhS1Bb3R9uIgIl7N6yUIBR0CzoaAs3PEALw_wcB Sorry for the rookie type questions. This is my first Steadicam job in roughly 5 or 6 years due to my temporary disability. I'll be flying this camera for the first time very soon. This will be out of State and prep will also be out of state. I still fly with an analog monitor.. Question: Will a Decimator Down converter work with this camera? One of the earlier post mentions that the F65 outputs 24p and some HD monitors don't work with it? Will that be an issue with a down converter? ICG600.com HOVER (don't click) over the "MY 600" menu item (top right menu item) Click on "Invoices and Statements" I went to the page and it said (Statements will be generated and posted annually by February 28th)"
I can't remember if I asked this before. 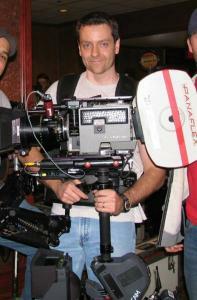 There are a number of Steadicam Operators that have extra gear they are willing to rent to other operators. For example, I have rickshaws, a SteadiCAB, Vehicle mount and gorelink plus other items that I rent to other steadicam operators and productions. Is a "For Rent" section under Marketplace something that you think could be useful to this forum? Thank you.